Registered Members Recieve our Newsletter on the 1st of every month. as members decided with 51% of the votes in his favor and the car of course. MOT for our winner. Congratulations to everyone who entered this year. 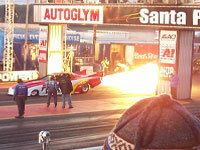 Flames of Thunder - Santa pod Review. This was the best thing i have ever seen in my life lol! It was brilliant! The Jet cars are my fave..the noise is like nothing u have ever heard before! We were in the grand stand, and that is the best place to be if u want to get the full effect so i would defiantly recommend getting a ticket! Terry Grant - OMG how amazing is he! He was absolutely amazing! We got a brilliant spot to watch him, he did all his stunts..
afterwards. An amazing day and so glad i went. Rolling Road (5) Peco - Review. from the boys, and some exciting and unexpected results. the max BHP on the day, but it was close. to view and sort in the orders you wish to view them. which is almost half the retail price on the day. See an event not listed then add it for us all to see no registration necessary. Regular Meetings, Friendly Members, and a love of Motor Cars. Continue down the page for all the News. Registered members can read our news letters on the first of the month. 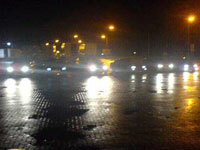 Cruisewirral Members Meets - For all car enthusiasts. Come along join and the banter, meet up with members and show off your car. Let our members help you with any advice and questions you may need with your car? We move around the wirral from meet to meet so register to find out where we are next. Join in the banter and make new friends with a interest in cars too. Find out where we are off to next visit our forums "Up n coming Events "
you can now view the top ten galleries, and the most recently visited today. We hope you enjoy the new look and feel to our gallery. Last time i looked this pic was Top 10 1st Place. Why not have a look, you may like what you see? New Laws, Existing Laws, Parking Tickets and much more. ask advice and get feed back. You could save your self allot of money with advice from fellow members. A forum just for you and your car. - Accident Claims Solicitors, No Win No Fee! - Accident Repairs, Body Kits, Bike Repairs, body modification. Alloy Referbs. - BOSH Diagnostic Centre, MOT's & Servicing..
- Peco Developers of Sports Exhausts - 1000BHP Rolling Road..
- Retail Exotic pet store lizards, snakes - Food and Accessories..
- Online Car Sales : At Discounted Prices. - Promotion vinyl, Shop fronts - web site car stickers, vans and graphic's. - Logg Cabin Holiday Breaks. 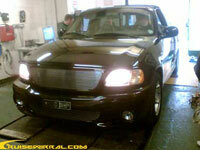 - Specialised service and repair for both modified and standard vehicles. - Pneumatic& Hydraulic Hose Replacement - Pumps, Motors, valves etc. Cruisewirral.com wirral's, Number 1 web site for Performance & Modified Cars.